On this page, animations around the Venus transit have been collected. All of them may be freely downloaded and used, provided the VT-2004 programme is mentioned as source. Animations B-E (produced at ESO) are also available on request to the media in broadcasting quality (Beta). Look also at the excellent presentation of the Venus Transit by Robert Wielinga (The Netherlands) that is now available ( PPT - Quicktime). 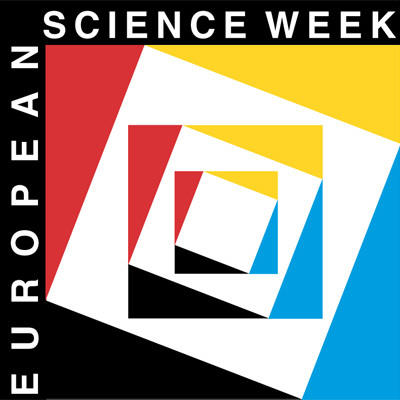 This animation was prepared by Roland Boninsegna, physics teacher in Belgium. He explains: " This animation is composed of 30 views, beginning at 4h 45m UT in the morning of June 8, 2004, and.separated by 15 minutes. It was constructed as this event will be seen from Belgium, but can be used everywhere for general purposes. The greatest differences will be between northern and southern countries. For example, there will be around 3 to 4 min differences between the contacts, as seen in Finland and Portugal, respectively. This is not so important for the general understanding of the observation. On this animation, you will see the movement of Venus and the Sun along the ecliptic (blue line) as seen the from Earth. The North and East directions are also indicated". The movie shows Venus and the Earth moving in their orbits around the Sun. At a certain moment, both of the planets and the sun are located in the SAME PLANE. This is the moment when a "Venus Transit" may possibly happen, i.e. that an observer on the Earth may see Venus passing in front of the Sun. However, this is not a sufficient condition for this event to take place, as Animation C shows, must the two planets and the Sun all lie on the SAME STRAIGHT LINE (the "Line of Nodes"). The movie shows the orbits of Venus and the Earth "from the side" - the two planets are moving around at the proper relative speed. The planes of the two orbits are not the same - they are inclined to each other. As the camera moves upwards, the orbits are gradually seen from above. Venus moves faster than the Earth, in a sense, it "chases" the Earth, catching up and "overtaking" our planet from time to time. The line where the orbital planes cross each other is indicated (the "line of nodes"). A Venus Transit can only happen when both planets are located on this line at the same time. Because of the different orbital periods (velocities) this is a rare event. The movie stops when this (finally!) happens. The dark silhoutte of Venus is seen moving across the solar disc, as this will happen on June 8th, 2004. This movie illustrates the different lines of view for observers who are at different geographical positions on the Earth. Venus is located between the Earth and the Sun. Note that the dimensions are not in the proper scale, in order to show better this effect. The line of sight for an observer in the northern hemisphere is different from that of an observer in the south. They will therefore see the dark disc of Venus at different positions on the solar disc. This is referred to as the "parallax effect". It is exactly by determining this (in reality, very small) shift of position that it becomes possible to calculate the relative distances between the two planets and the Sun and hence, the distance from the Earth to the Sun. 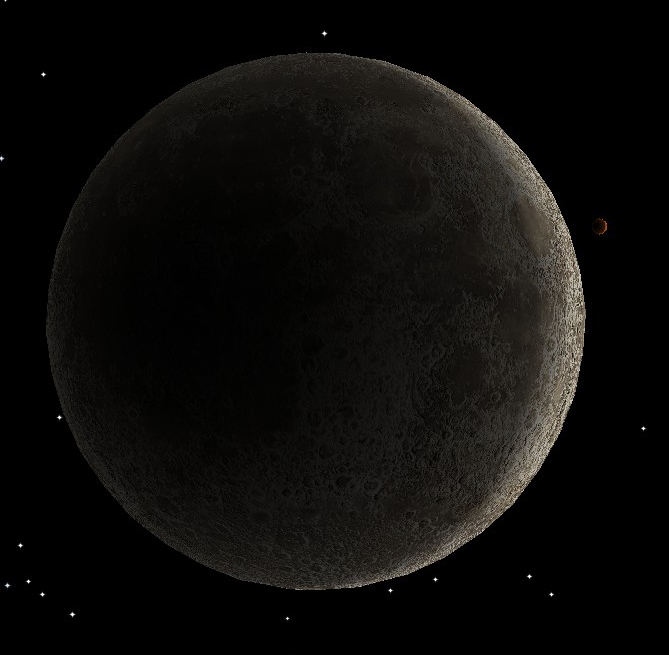 On May 21, 2004, in the early afternoon in Central Europe, the young Moon will move in front of Venus' thin crescent and hide the planet from view for observers in a broad zone stretching from the Atlantic over Europe to central Asia. 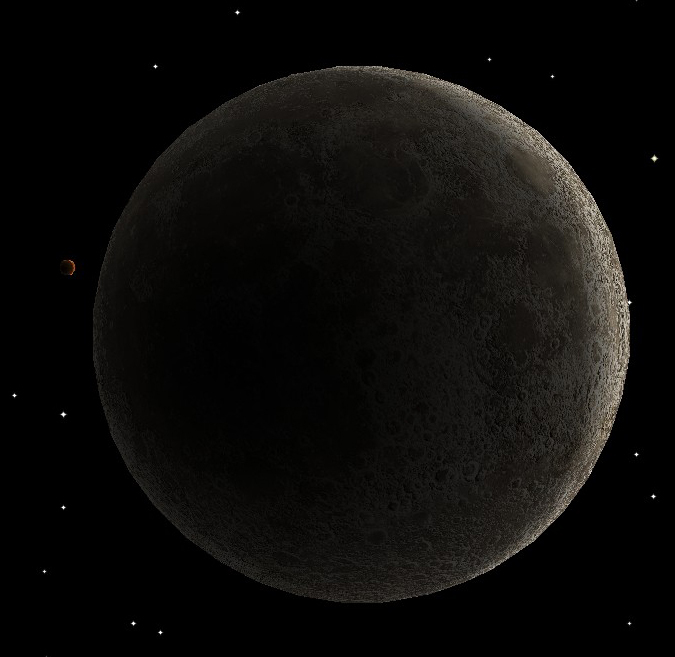 This event is known as a "Venus occultation" by astronomers and will last approximately 1 1/2 hour. The Moon and Venus will be only 25° away from the Sun in the bright sky, so observations will not be easy. The movie first shows the "ingress" of Venus behind the Moon's dark edge (50 times faster than real) at about 11:29 UT (13:29 CEST) and then the "egress" from behind the Moon's bright limb (in "close-up" and 25 times faster than real) about 70 min later, as seen by an observer near Copenhagen (Denmark). Note that the sky will be not be dark as in this animation, but very bright. The large circular lunar feature near the egress position is Mare Crisium. These four animations were prepared by Roland Boninsegna, physics teacher in Belgium. He explains: "These four animations demonstrate the (small) effect of the observing site (geographical latitude and longitude) on the view of the transit at the approximate moments of the four contacts, when Venus' disc is seen near the solar limb. Each of them shows the difference between what will be seen in Helsinki (Finland) and Faro (Portugal), respectively" . A series of excellent animations showing the motions of the planets and other issues related to the Venus Transit is available at the site of the VT-2004 Node in Norway - look at the middle of this page. Last year, in ESO's Catch a Star ! competition, a group of students made a very nice project on Venus and its phases, with an animation. It is worth a look !